Dr. Luthar is an expert on the education system and the stress it can create on youth in affluent communities. 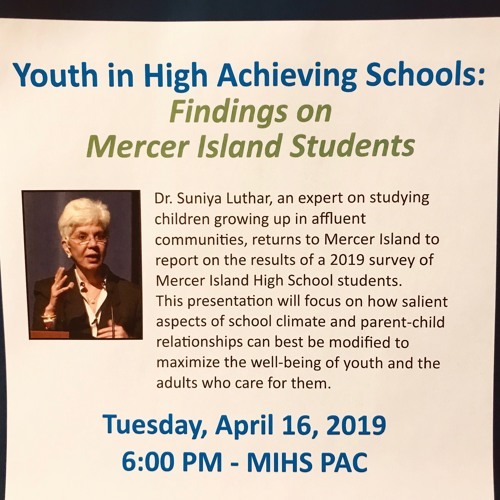 Suniya did a study specifically on Mercer Island students in 2005 and is now conducting another. Listen to this very frank, informative discussion with Joe and make sure to come hear her speak about the latest findings regarding MIHS students at the MIHS PAC on April 16th at 6:00 pm.